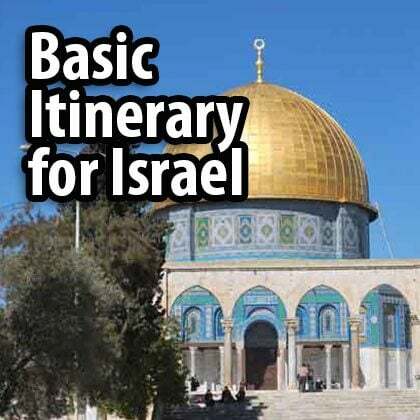 If you’re planning to fly to Israel then this guide is for you! Here you will find all you need to know about security, the airports and transportation to and from the airports. You will notice that security measures have become stricter. 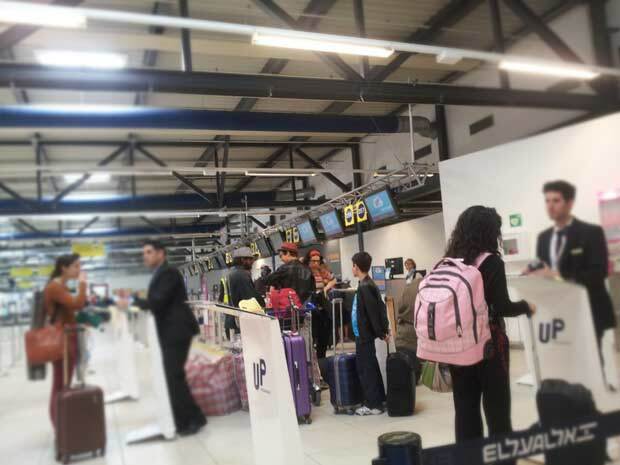 Sometimes there’s an additional check after Duty Free and if you’re flying with an Israeli carrier (El Al, Up, Arkia or Israir) then you will be asked a few questions before you can check in your suitcases. 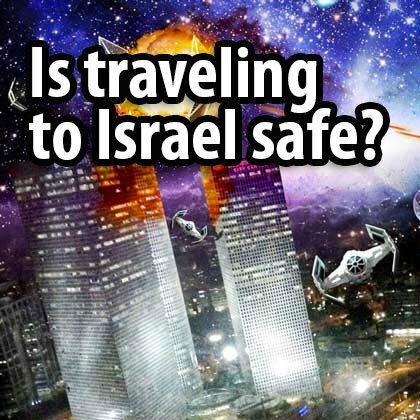 Israelis have gotten very used to it but some tourists may find it strange to be questioned about a personal trip. Don’t worry: they aren’t asking you because they find you personally suspicious. Everyone is asked the same questions. Now they do use profiling, so if you are young, male, unmarried, and flying by yourself, you will probably be asked more questions than a family that is flying together. To me it makes sense. I will just add that if you are visiting an Israeli, or coming for business purposes, it is always good to have the relevant details (phone number and address) with you. It can save you time. 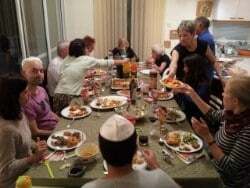 But if you don’t know any Israelis, no worries. Security check and questioning before check-in. 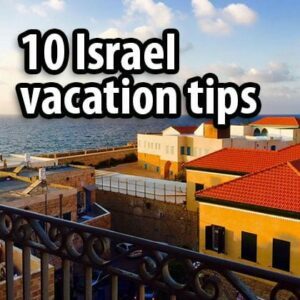 In a way, your trip to Israel (as with any other destination) begins before you even arrive in the country. 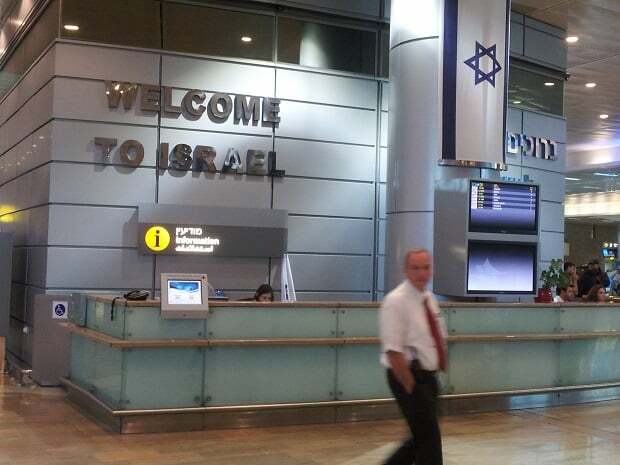 It begins at whichever airport your flight to Israel departs from. 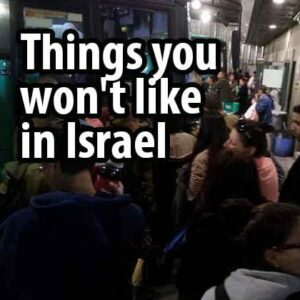 Waiting in line, you will most likely see Israelis returning home. It’s easy to spot them: they travel with enormous suitcases. Israelis can’t stop shopping when they’re abroad. 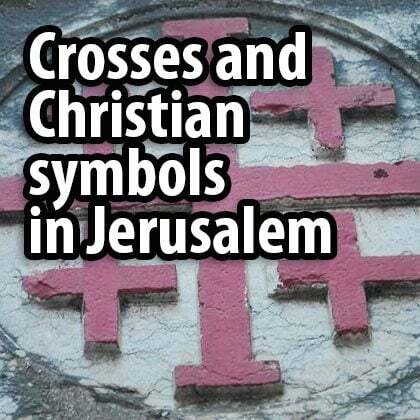 As a tour guide in Israel and a guide for Israelis abroad, I never cease to be amazed by this fact. 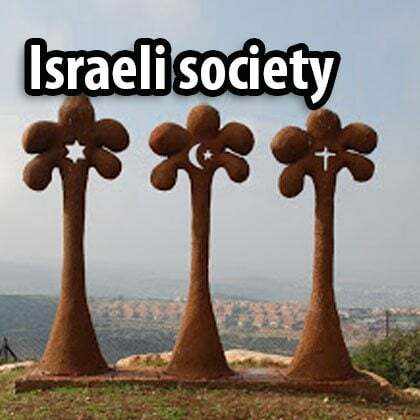 Tourists who come to Israel will typically buy a piece of jewelry, an olive wood figurine of Jesus, a few dates, and that’s about it. 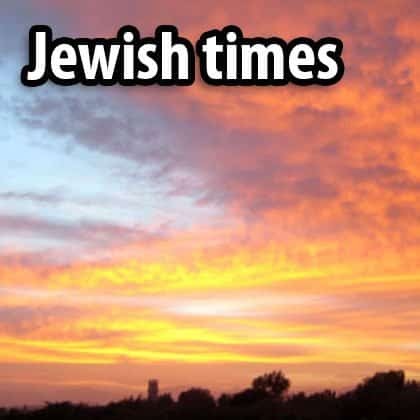 Israelis, though, when traveling abroad will buy clothing, shoes, electronic appliances, and that most Israeli of purchases: presents for the children. Ben Gurion Airport (TLV) will probably be your first stop in Israel. 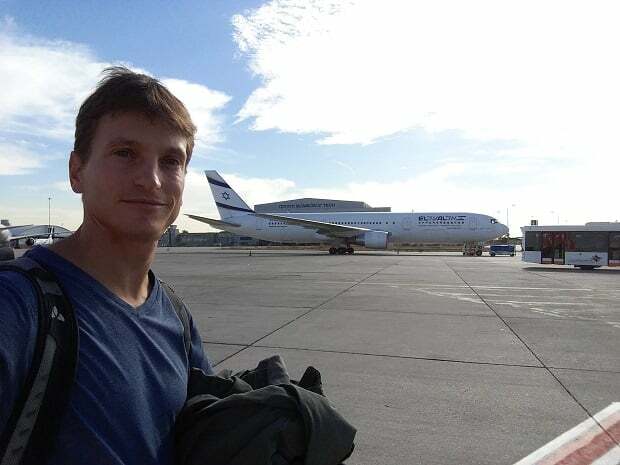 It is by far the biggest and most important airport in Israel. Ben Gurion Airport is not in Tel Aviv! Although the airport code is TLV, which stands for Tel Aviv, the airport is located in the middle of Israel, between Tel Aviv and Jerusalem. 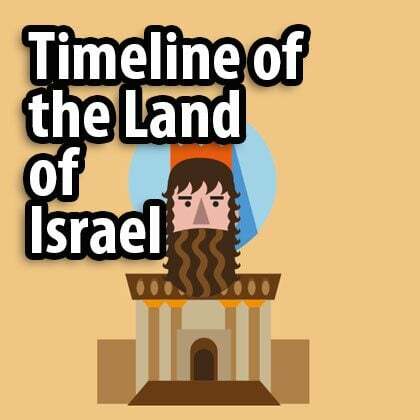 It is about 30 km (20 miles) from Tel Aviv and 55 km (35 miles) from Jerusalem. 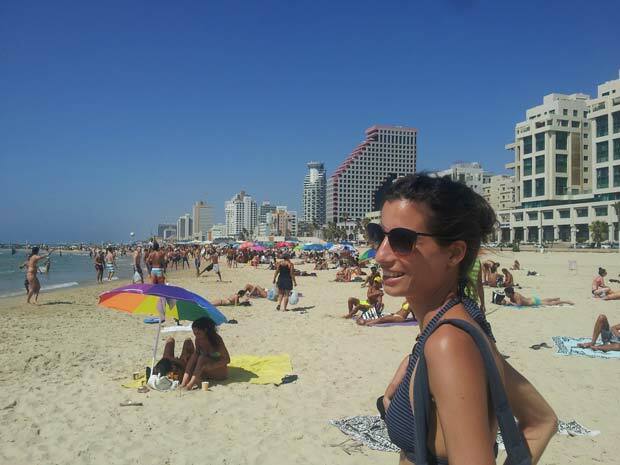 I emphasize this point because many tourists think that they need to start and finish their vacation in Tel Aviv in order to be close to the airport. You don’t. 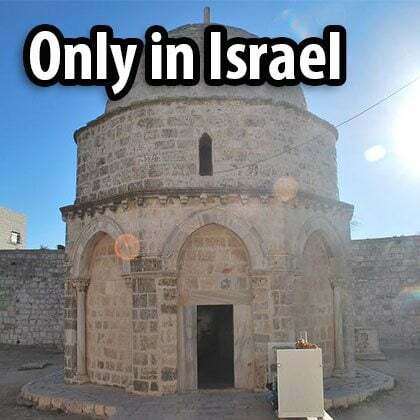 You can go straight to Jerusalem: it takes an extra 25 minutes or so. 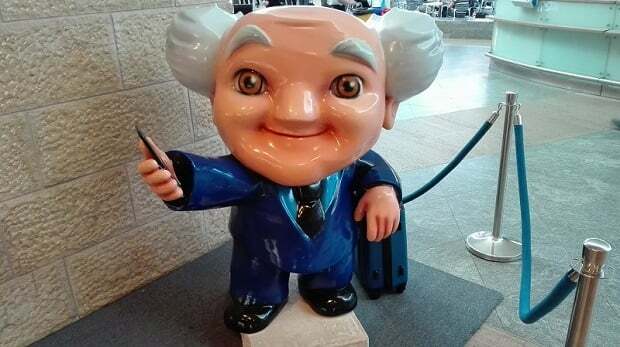 Israelis, by the way, call the airport ‘Natbag’, which is an acronym of Ben Gurion Airport (Ben Gurion was our first prime minister). 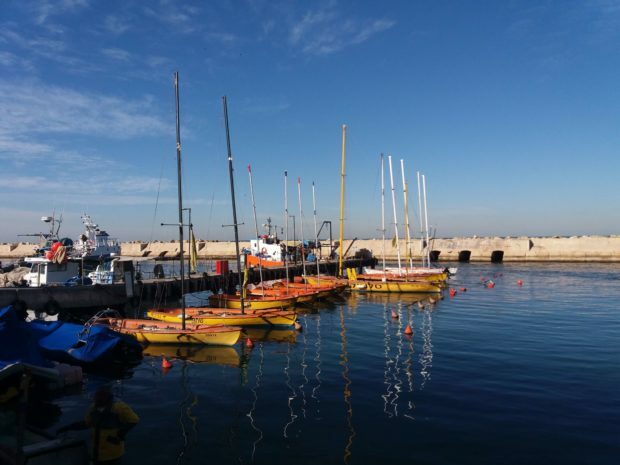 If you say ‘Tel Aviv Airport’ to an Israeli, she might think you are talking about Sde Dov, which is a very small domestic airport located in Tel Aviv. The main terminal in TLV airport is Terminal 3. You will probably land here, but just check your ticket when you fly back because for some of the flights, especially those with low-cost airlines, you will need to check in in Terminal 1. Once you land you’ll go through border inspection. 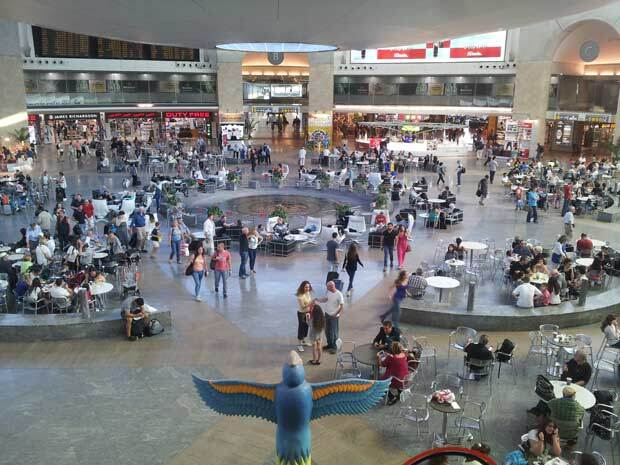 Don’t worry if there is a queue: Ben Gurion Airport has free WiFi – and, by the way, Israel has the highest number of free WiFi areas in the world, relative to its size, of course. All cafés, hotels, hostels, and even cities like Tel Aviv offer free WiFi. At border control your passport won’t be stamped. Instead you’ll get a small ticket, and this is because you may experience problems in some Muslim countries if they see that you have been to Israel. So in order to avoid difficulties in the future, your passport isn’t stamped. But you’ll need to keep the ticket until you fly back: this is important.Usually people are in a rush to pick up their luggage so they miss the information desk run by the Ministry of Tourism stationed in the middle of the hall. You can ask for information and get free maps here. You might want to ask them to show you the location of your hotel or hostel, or of the train or bus station in Jerusalem or Tel Aviv. 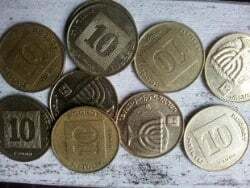 It’s a great service for tourists that most tend not to know about. 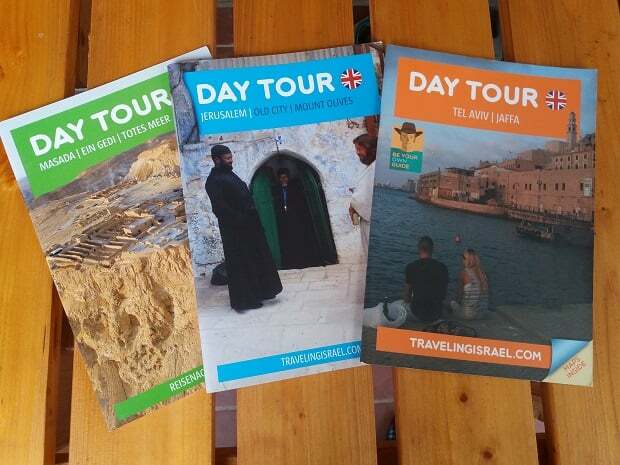 Free maps and information at the counter run by the Ministry of Tourism. Most tourists just pass it by in their rush to pick up their luggage. Once you’ve got your maps you’ll head out into the welcome hall, which is big and can be overwhelming. Here you will find all the services you would expect: a bank to change money, car rental companies, an expensive café, ATMs (by the way, Israelis use credit cards a lot, and I recommend having one, as it will make traveling easier), as well as something new and important: an information desk run by the Ministry of Transportation. 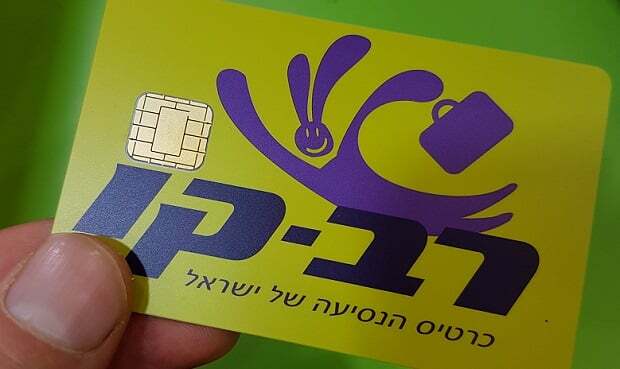 * Starting in 2019 you will need a Rav Kav, which is an electronic public transportation card which you use to pay for buses and trains (bus drivers will no longer handle cash). There is a new information center run by the Ministry of Transportation in the welcome hall, where you can get yourself a Rav Kav. The new Rav Kav card. Get one at the airport, charge it up with some money, and public transportation will be much easier. 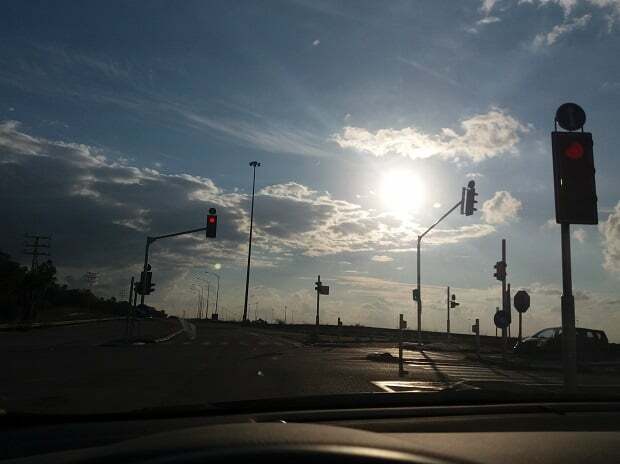 Tel Aviv is the most convenient as well as the cheapest city to get to from the airport. There is a train running from the airport to Tel Aviv (and to many other destinations). In Tel Aviv there are four stations that the train stops at. 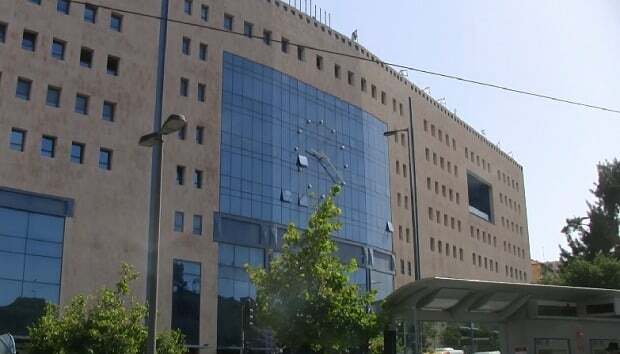 It is important to know that the first station in Tel Aviv is called Tel Aviv HaHagana, which lies right next to Tel Aviv’s central bus station. 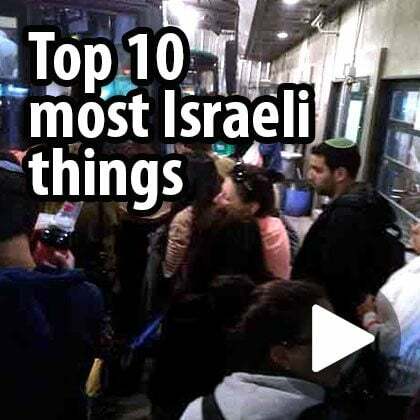 However, unlike Jerusalem, where the central bus station is in a good location, in Tel Aviv it is not a good area, especially not at night. 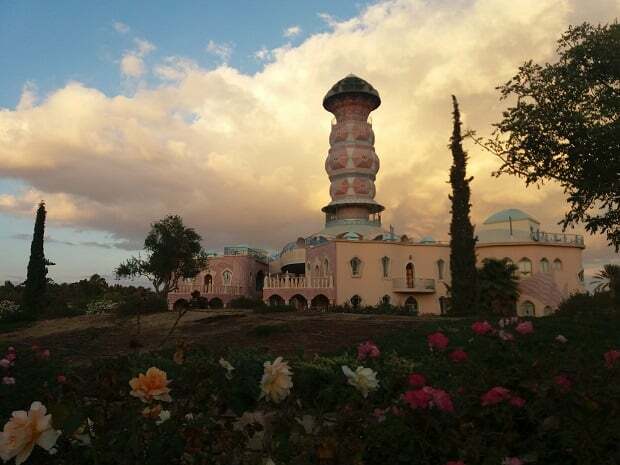 I recommend taking the train to the next station (HaShalom) or the one after that (Savidor Center (also called Arlozorov)); check before you arrive which is the closest to your hotel. 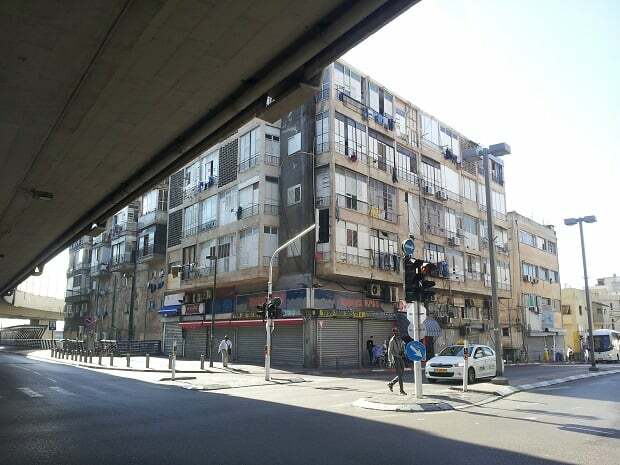 The last station in Tel Aviv is called Tel Aviv University, but there are no hotels and hostels in this area. The train then continues to Herzelia, Haifa, Akko, and several other destinations. On weekends (Friday afternoon until Saturday night) your only option to get from the airport to Tel Aviv if you don’t want to rent a car is to take a taxi. And here I have some great news! It doesn’t happen very often in Israel, but due to a reform prices have gone down by 30%, and you can either take an official airport taxi (Hadar Lod) or use the GETT app to order a taxi when you land: it’s the same price. Other online sources may only advise you to take an official taxi, but as part of the reform you can also use GETT, which I recommend. 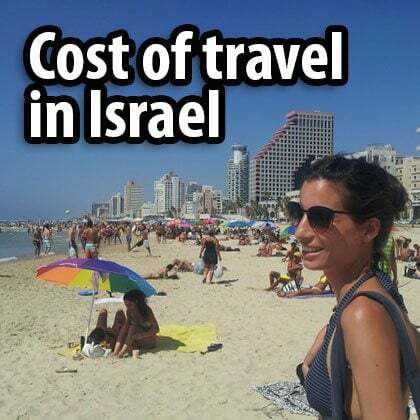 Prices are 89 shekels to Tel Aviv during the day and 102 at night; to Jerusalem it should cost 172 during the day and 206 at night. On weekends it is of course more expensive. The Israeli airports authority even has a Taxi Fare Calculator, which is a great aid that not too many tourists know about. The new train line running from the airport to Jerusalem is now open! The central bus, light rail and train station in Jerusalem. Much better than the one in Tel Aviv. The station is located next to the central bus station and the light rail. From here it’s easy to get anywhere you want to in the city. Another option is to take a bus to Jerusalem (line 485). The bus doesn’t run at weekends but in general it works during hours when the train isn’t running. Follow signs for the buses in the airport as most Israelis have never taken a bus to the airport and taxi drivers may not tell you where the bus is. The bus to Jerusalem. If you missed the train, or it’s not running, this is a good option that nobody will tell you about. Another option is a shared taxi service (10-person taxis), which will take you where you need to go for 60 NIS (shekels). The advantage is that they drop you off at the address you need to get to; the disadvantage is that you need to wait until the taxi is full, and I have heard complaints from tourists about the attitude of drivers. However, now that the new train line is open they will have to improve their services if they want to stay in business. You can of course take a taxi from the airport to any destination you like, but it will cost more. 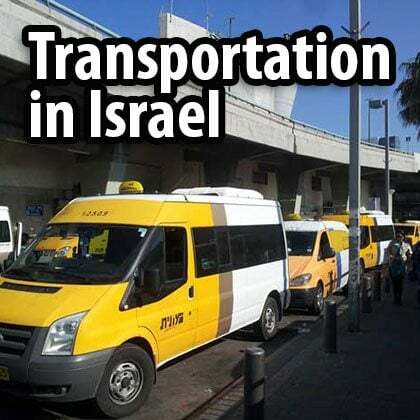 More information about transportation in Israel. 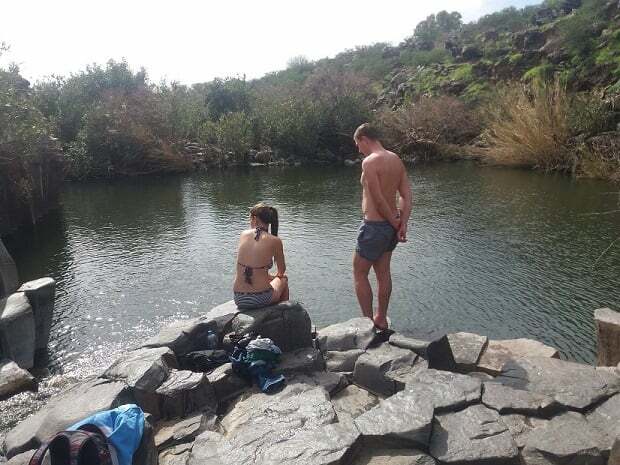 I usually advise tourists to see the cities (Jerusalem and Tel Aviv) first, for which you don’t need a car, meaning you can relax after the flight, settle in, and only then hire a car. 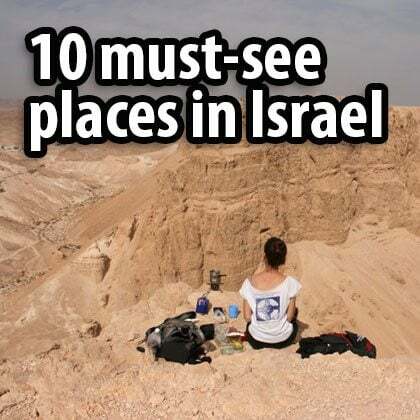 But you could always hire a car at the airport and go to the Galilee, Golan Heights or the desert (my favorite place). All the companies you know are at the airport. You can compare prices here. Although most air traffic lands in Ben Gurion Airport, some low-cost flights land at the aiports at Ovda and Eilat. Eilat is the southernmost city in Israel and Ovda is a military base lying a 40-minute drive north of Eilat. * you are coming for a long time. If you’re coming in summer for a week or so I wouldn’t land here just because it’s cheaper. 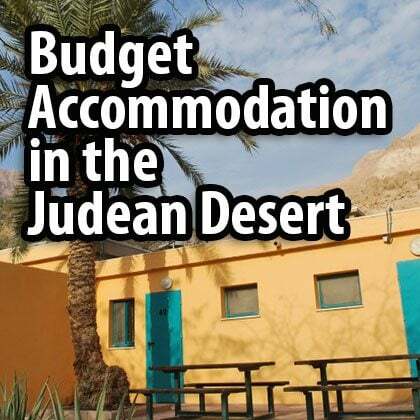 The hassle and time-wasting involved in landing in Ovda, taking the shuttle to Eilat, and from there renting a car or taking a bus to the center of Israel isn’t worth the saving you might make. 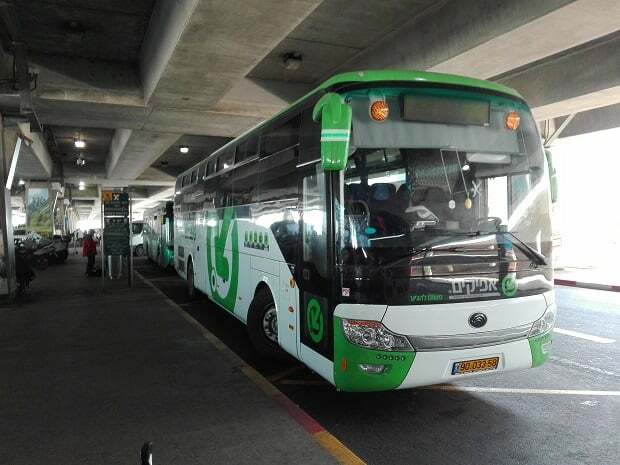 For shuttle services from Ovda to Eilat check out Eilat Shuttle. Under construction. The new Ramon Airport will probably open in 2019. Sometime this year or next year the new Ramon Airport will open its doors. It will be located 18 km north of Eilat and offer all the services you’d expect of an international airport. When it opens I’ll be sure to write a post about it. I recommend spending your last night in Israel in Jerusalem or in Tel Aviv if your flight from TLV Airport is in the morning. In the event of any problem, for example, the taxi not coming or the train not running, you will still have enough time to find an alternative. You’re advised to get to the airport at least two and a half hours before your flight. It is always better to check in online. If you do check in online, make a note of whether you’re flying from Terminal 1 or Terminal 3. If you get it wrong, don’t panic: there’s a free shuttle between the two terminals. Once you’ve passed through security and border control you will enter the last important Israeli institution: Duty Free. Israelis love Duty Free. People are often late for their flights because they were too busy shopping. Vacation and shopping are synonymous for Israelis and the vacation starts in Duty Free. Israeli vacations start here in Duty Free. 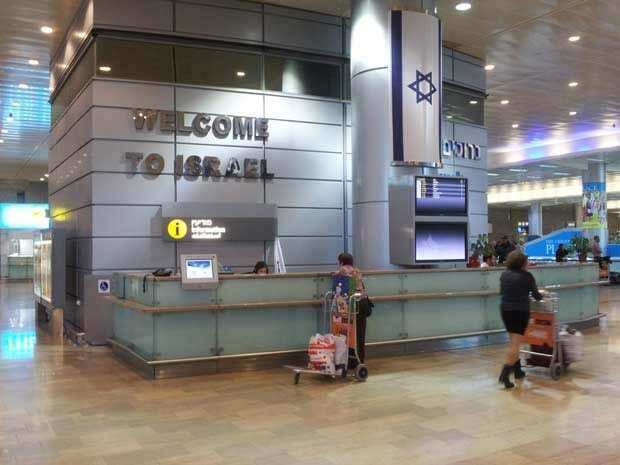 In 1989 Israelis invented a Duty Free service called Arrival Collection Service, which means that you buy before you fly but don’t take the goods with you. Instead you pick them up when you come back. 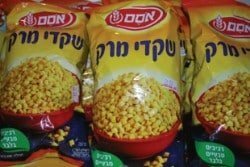 This led to Duty Free shops also selling big products and many Israelis now buy TVs, washing machines and refrigerators as well as the usual alcohol, cosmetics and cigarettes. This means that the Israeli Duty Free holds a few world records (one of the biggest Duty Free shops in the world, highest expenditure per traveler) and has become a national consumerist phenomenon. (Honestly, I don’t know if this is a good thing). What I will say is that there is a good book store with loads of books about Israel in English and other languages. And after Duty Free that’s it, your Israel trip is over. 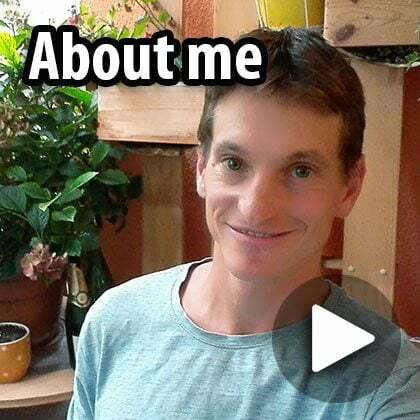 There are a lot more videos and posts I want to create and upload, ranging from planning your trip to Israel’s history and culture. 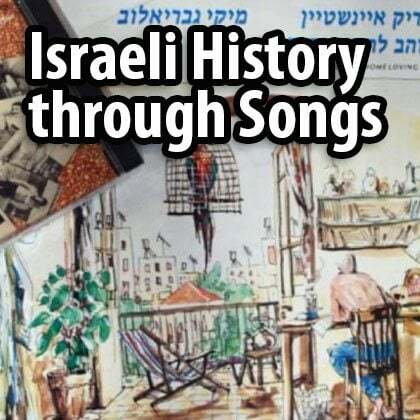 If you’d like to support me, you can do it in one of two ways: by buying my booklets (The booklets are only sold outside Israel, so order now and come prepared! Or download as a PDF or EPUB (e-book). 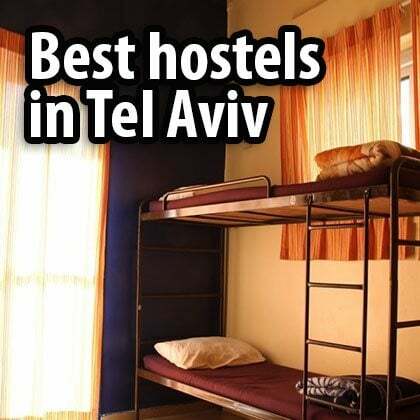 Or, if you’re traveling to Israel, by booking your hotels and hostels through the links on my website. You’ll pay exactly the same amount and I’ll get a small commission that allows me to add more content. Thanks for your support!